Cigarette prices have skyrocketed. Americans spent more on cigarettes than beer and soda combined in 2016. The reason? Smoking has become incredibly expensive. The average price of a pack of smokes has gone up from $3.73 in 2001 to $6.42 in 2016. Pricing varies by state, and a pack of unfiltered Camels in New York City can run upwards of $14. Competition has shrunk. To cut costs and weed out competitive pricing (which has in turn made the price hike of cigarettes so successful), the industry has consolidated. Down from seven major players in the industry, there are now two main manufacturers of cigarettes in the US: Altria (which produces Marlboros) and Reynolds American Inc. (which sells Newports). Combined, these two companies make eight of every 10 cigarettes sold today. Taxes remain favorable to tobacco companies. Though federal and state taxes are costly to American tobacco companies (and could increase even more), compared to other western countries, US companies are getting a deal. 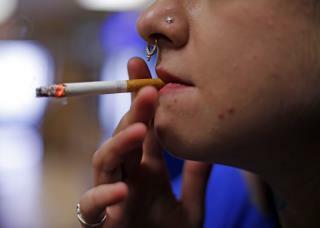 An average pack of cigarettes runs a smoker in Britain $10.90, 82% of which goes to taxes. Here, where cigarettes cost $4 less on average, 42% of an average pack goes to taxes. I am okay with this. Stupid people smoke. Statistically, smoking lowers your life expectancy. Ergo, stupid people die faster. I am really okay with this. Packet of 25 cigarettes in Australia costs you A$35. What is this obsession with smoking? Don't these people realize that vaping is just another way to hook you on their product?